Our VolleyMob Week 13 Player of the Week starred for her team offensively, defensively and as a passer on serve receive. The freshman outside hitter notched 22 kills and 14 digs, while hitting .583 in a four-set win at West Virginia. 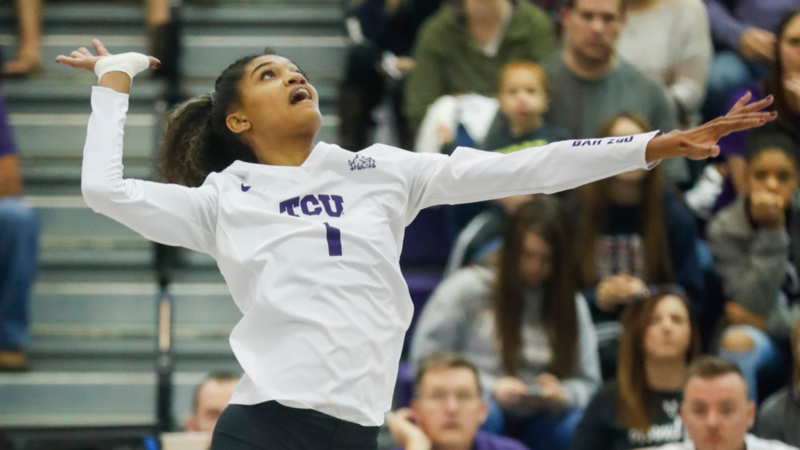 The Leander, Texas, native then added 16 kills and 16 digs while hitting .429 in a sweep against Kansas, TCU’s first win over KU since 2014. For her efforts, McCall was named both Big 12 Offensive Player of the Week and Rookie of the Week.